These are some of the plots I made using the Python package NetworkX. A plot of the citation graph. Each color represents a different venue. The venues in white text are in the average location for all papers of the venue. The graph placement algorithm attempts to minimize the distance between papers with a connection between them (citation). A plot of the citation graph for the data mining venues. 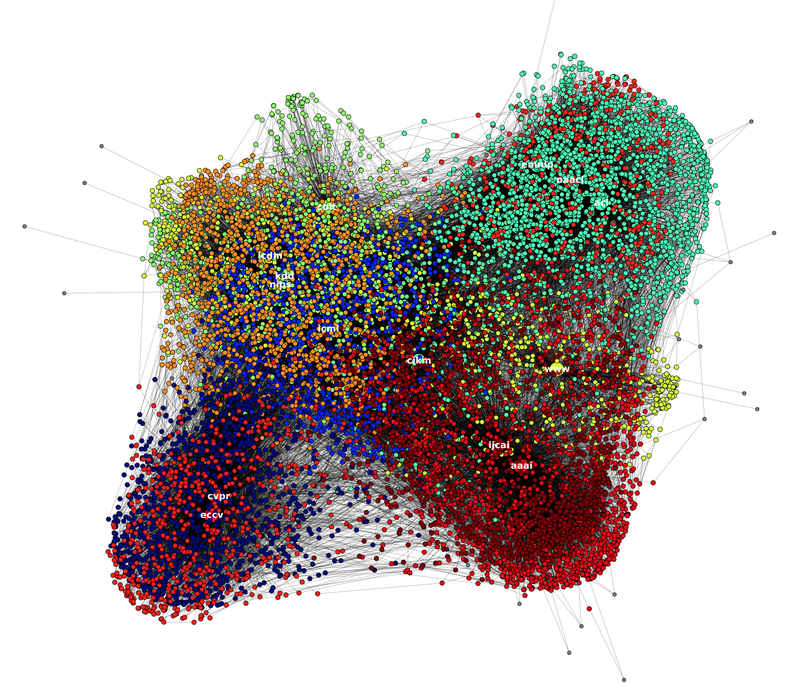 Larger nodes are the venues and each color represents the venue a paper belongs to. 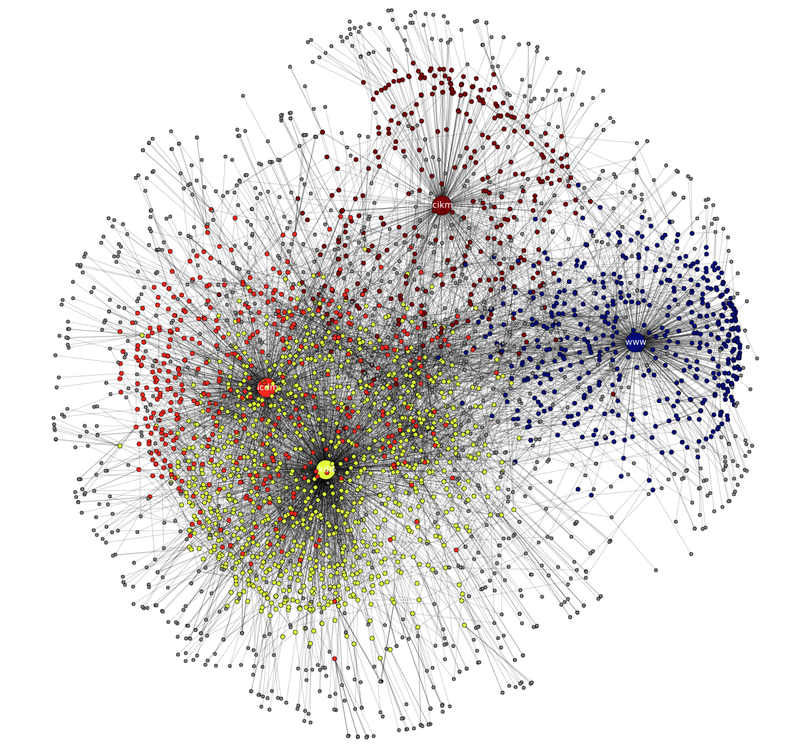 Grey nodes are citations of the papers that belong to one of the data mining venues.